In early June, we spent a couple of weeks exploring Northern Italy. 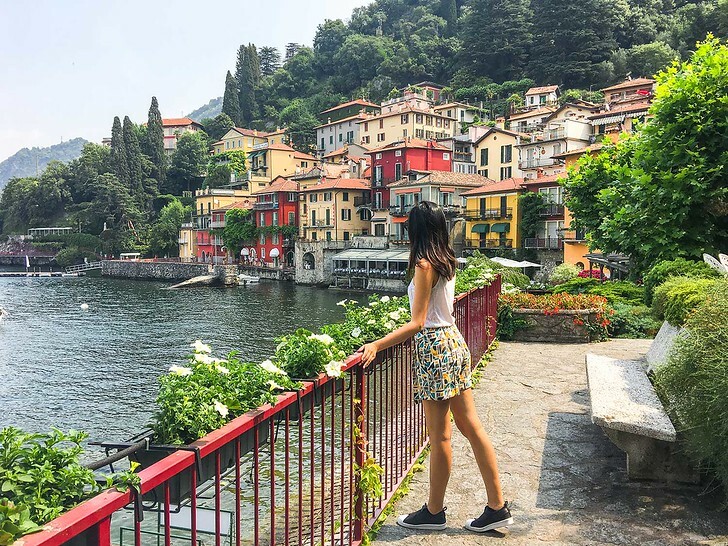 The region was never really on my radar but my family wanted to see Cinque Terre so we chose a fun itinerary that both started and ended in Milan and leisurely wound itself around Northern Italy’s most charming towns and villages. By the end of the trip, I was sold! Here are some of the most beautiful places in Northern Italy. Like most countries, Italy has its own North South divide with Northern Italians boasting that they form the country’s economic backbone and industrial powerhouse. From eye wear to fashion to food, Italy’s northern regions account for over 50% of the Italian economy… despite containing less than half of the country’s population! 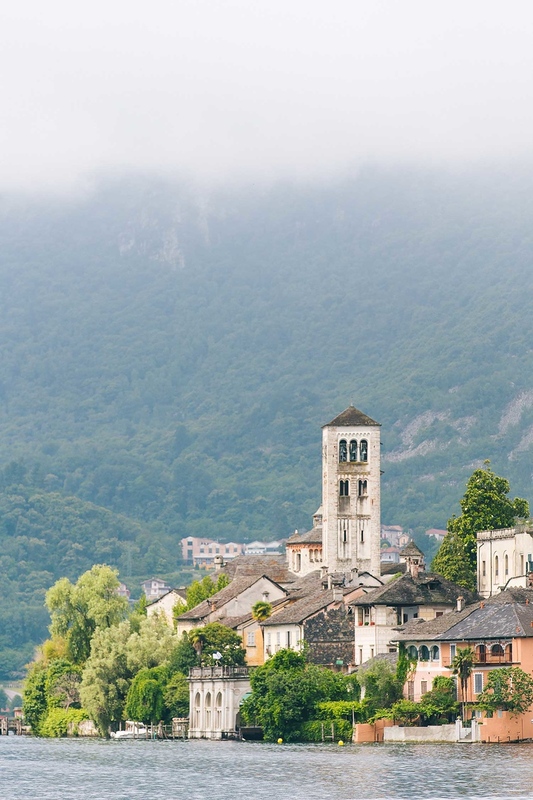 Thanks to two mountain ranges, five freshwater lakes, rolling hills and bustling seaports, there’s lots of diversity in North Italy, even in short distances. You can start your week off skiing in the Dolomites, laze about in Lake Como and end the trip feasting on seafood in Cinque Terre! Those who prefer fashion and food won’t be disappointed either. Red roofed cities like Bologna are affectionately considered Italy’s city of gastronomic indulgence while Parma’s outskirts are world-class producers of prosciutto and Parmesan. Then of course, there’s the two famous cities of Milan and Venice to discover in the North of Italy! Trust me when I say, every visitor will find something to love here. For the most flexibility, you should rent a car. If you want to rely on public transportation, it’s definitely doable. You can browse Italy’s train schedules online at Rail Europe and also use the site to book your tickets. It’s what we did for most of the cities below. 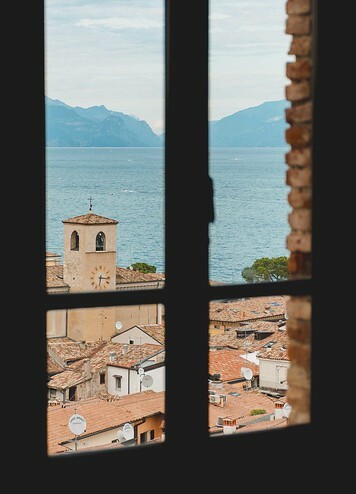 If you’re planning a trip to Italy and want some inspiration, I’ve featured 15 of the best places to visit in today’s post! Chances are, you’ll fly into Milano, Italy’s banking capital. 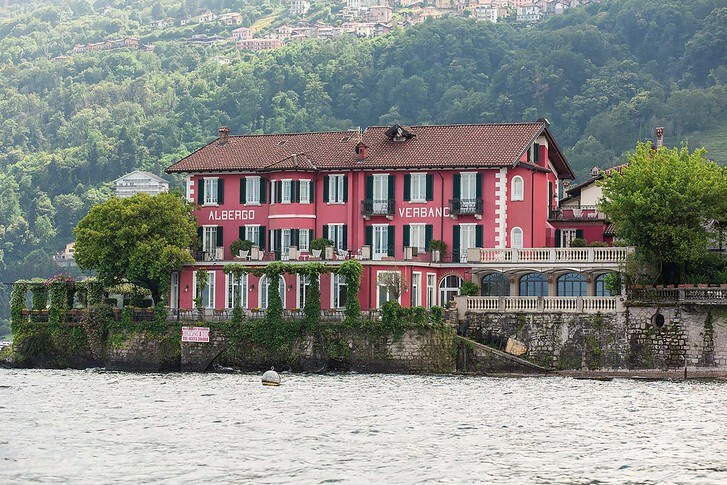 Lake Como has so much more to offer than just celebrity sightings. 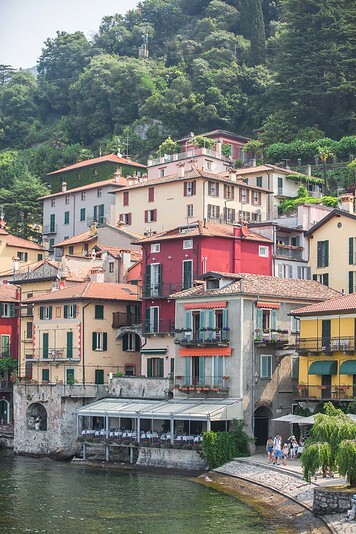 From charming Varenna to glitzy Bellagio and decadent island villas, you’ll want to include Lake Como on any trip to North Italy. Lake Garda is the largest glacial lake of Italy’s five lakes, fed by the Alps in the north. If you want an active escape, head here for great sailing, windsurfing, swimming and kayaking. Or, relax in the hot springs at Sirmione, visit the Grotte di Catullo Roman Ruins and relax in the beautiful lakeside gardens. Lake Maggiore has a more laid back feel compared to Lake Como, sort of like an Italian Adirondacks. 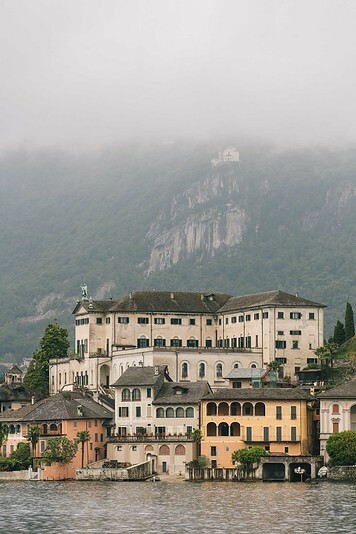 From grand old hotels to charming gardens, this area is a throwback to Italy’s golden age where the rich spent their summers on Lake Maggiore’s shores. Pay respects to the church on Isola San Giulio. 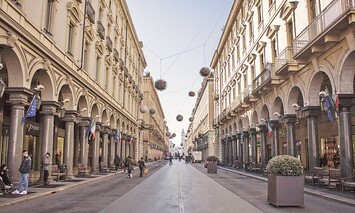 Turin is the capital of Piedmont and Italy’s economic powerhouse. 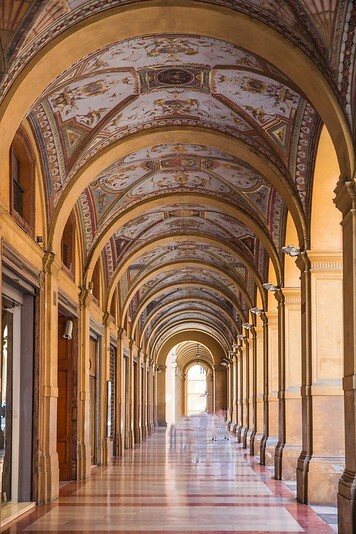 Known for flashy sports cars and great chocolate, Turin is one of Italy’s lesser known cities but worth a visit! Here you can explore the Museo Egizio, which holds an impressive collection of Egyptian artifacts, decadent palaces Reale and Madam palazzo and stately boulevards and grand squares like Piazza Castello. Trieste is a beautiful harbor city on Italy’s northeastern front. It’s quite a unique city to explore, as it was a Hapsburg city under Austro Hungarian rule for most of its history. As a result, visiting Trieste feels more like visiting Austria than Italy! Explore the latticed alleyways, Medieval old town, Grand Canal and narrow bridges in this charming port city. Venice is one of the most romantic cities in the world. 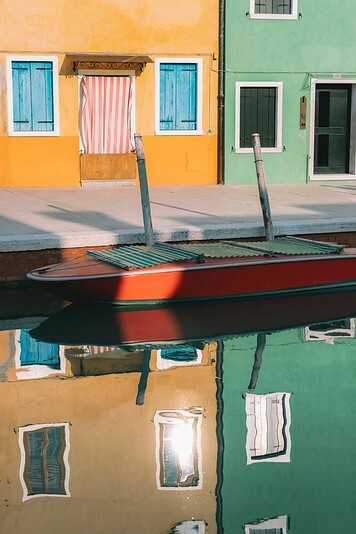 Composed of tiny islands joined together by arched bridges and canals, the Venetian lagoon is famous for its opulent cathedral, St. Mark’s square, Doge palace and masquerade street performers. 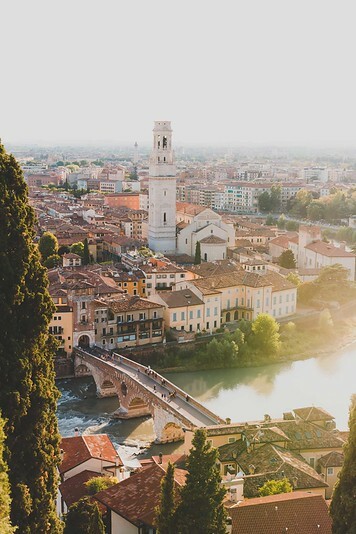 Made famous as the setting for Shakespeare’s Romeo and Juliet, Verona is a picturesque ancient Italian city. 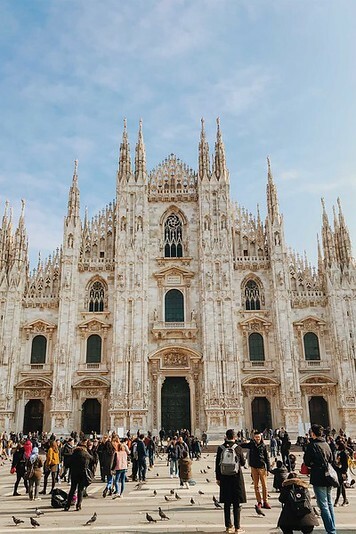 Stroll along the Roman ruins, scope out the medieval architecture and explore its Renaissance palaces on an easy day trip from either Milan or Venice. Don’t forget to check out Juliet’s House too. Fair warning: in the summer, Verona is swarmed with tourists. Stay the night to savor Verona’s charms without the crowds! 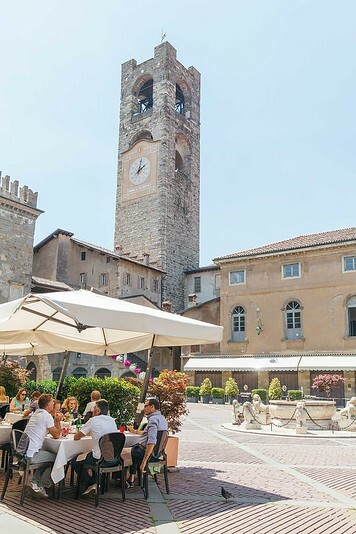 Bergamo is a modern-day Tale of Two Cities with its medieval upper city guarded by 16th century walls and its modern lower city. Ride the funicular up to explore its Renaissance architecture, pleasant piazzas and ornate churches. This is a great stop for art lovers as Bergamo is famous for its Accademia Carrara which houses works by Renaissance artists Raphael, Botticelli and Canaletto. Ferrara was a medieval Italian city with an impressive defense system. Go for a walk on the city walls, explore the gorgeous Estense Castle or tour the spiky diamond-shaped Palazzo dei Diamanti. 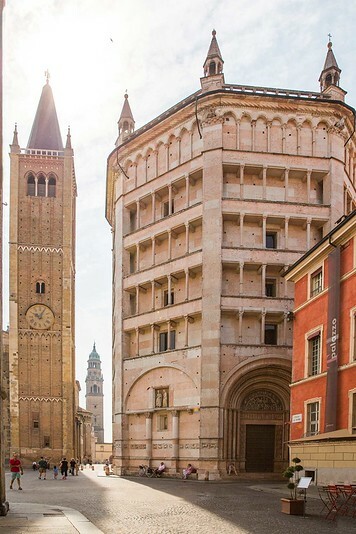 Parma is Italy’s cured meat and Parmigiano capital. This Italian town was UNESCO’s first recognized Gastronomic City of Culture and perfectly blends a metropolitan feel with open air charm. Much of Parma’s streets are pedestrian only so it’s a nice city to just walk around in. Spend the day is to hop from art nouveau cafe to cafe, washing down fresh prosciutto with full-bodied Sangiovese wine. Take a tour of a family run dairy caseificio, learn about the production of prosciutto or listen to an opera composed by Verdi – just don’t skip Parma! Bologna is the capital of Emilia Romagna, one of Italy’s most loved foodie regions. Explore its medieval towers and arched porticoes, famous University and bustling Piazza Maggiore. Don’t forget to try tagliatelle al ragu, the local name for Bolognese pasta and sample local wines like Sangiovese, Pignoletto and the sparkling red Lambrusco. Genoa is the capital of Liguria, on Italy’s northwest coast. It’s an ancient seaport town, famous for the birthplace of Christopher Columbus and its historic seaport where humble fishing boats and grand cruise liners crowd the docks. Genoa is quite a gritty town and worth a stop if you want to experience a more “real” Italian city. 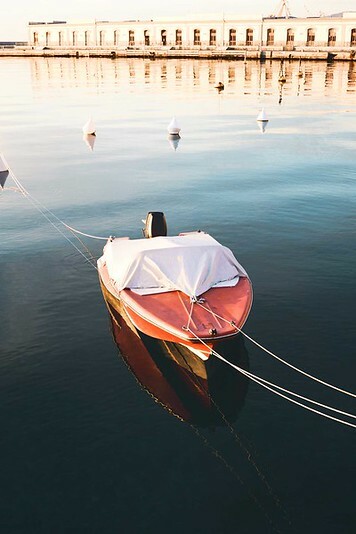 Try some Ligurian pesto, marvel at its churches and architecture, and enjoy the waterfront bars by the marina. Years ago, I bookmarked a photo of Portofino without having any idea of where the place was. This picture perfect harbor town is one of the prettiest places to visit in Italy and an absolute must visit! Portofino has a colorful harbor front, incredible designer shopping and hills of waterfront homes. Climb up to the Church of San Giogio, hike the hills to Castello Brown and enjoy an epic meal by the photogenic harbor. And last but not least, the five fishing villages that make up the Cinque Terre! This is one of the must see places in Northern Italy, famous for its steep hill towns built high into the cliffs above the Mediterranean. Spend your days hiking from town to town, sunbathing in the harbors or sailing in the sea. Stay overnight for a couple of days to properly explore. We loved Vernazza but any of the five charming towns (Riomaggiore, Manarola, Monterosso and Corniglia) are heavenly. 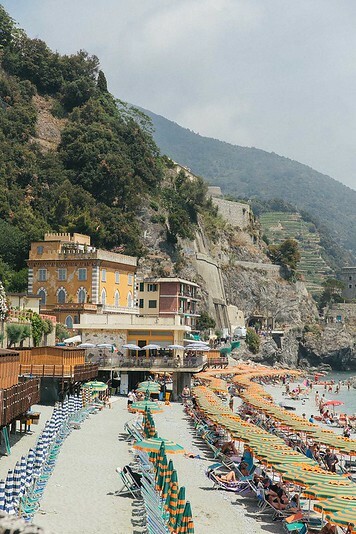 For a similar feel but without the tourists, head to Portovenere or Sestri Levante.